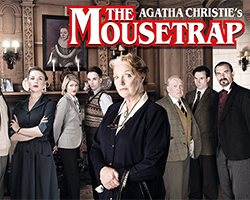 The record-breaking 60th anniversary tour of The Mousetrap comes to Darlington Civic Theatre from Monday 8 to Saturday 13 February. The Mousetrap is famous around the world for being the longest-running show of any kind in the history of theatre, with over 25,000 performances. Now the 60th anniversary production is back starring Louise Jameson (Dr Who, EastEnders, Doc Martin) as Mrs Boyle. Louise Jameson is best well-known for her long-running roles as Leela, a companion of Tom Baker’s Doctor in Doctor Who, Susan Young in Bergerac¸ Eleanor Glasson in Doc Martin, and Rosa di Marco in EastEnders. In addition to Louise’s illustrious roles on screen, she has also appeared on stage in Love, Loss and What I Wore (The Mill, Sonning), Noises Off (Mercury Theatre), Gutted (Theatre Royal, Stratford East) and Oedipus (The Liverpool Everyman & Nottingham Playhouse). 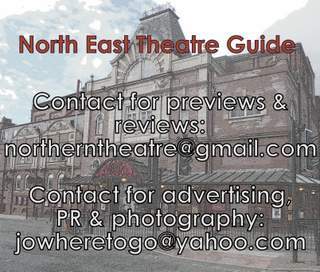 The Mousetrap comes to Darlington Civic Theatre from Monday 8th - Saturday 13th February.